so that no one can criticize you. The first step to living the sweet life that I really wanted to share with my kids is living with a thankful heart. So I created a page about complaining. Complaining is the bane of a thankful heart. So often people talk about how good it feels to “vent,” but I’d argue that venting makes us feel worse. When I know that I’m going to tell someone my woes, I store up these complaints in my heart and dwell on them until the time comes to let them out. Then I relieve the problems in a flood of bad feelings. And does the person of the receiving end of this venting feel any better for it either? Nope. Instead, I want to keep a clean heart and a sweet life. And when we aren’t complaining, the Lord can shine through us. We want to be the light of the world, unhidden by bad attitudes and grumpy hearts. We can’t lead others to righteousness unless we shine like the brightness of the heavens! 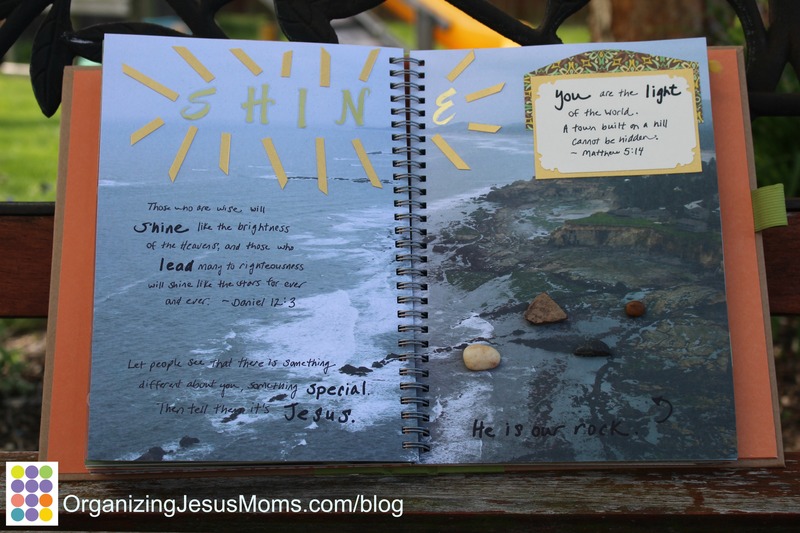 Do you hide your light of faith under complaints? Do you save negative thoughts for a future venting session? I’ve definitely been guilty of this. We can state our difficult circumstances; we can tell the truth when we’re hurt. But we shouldn’t dwell under that dark cloud. God didn’t make us for darkness. 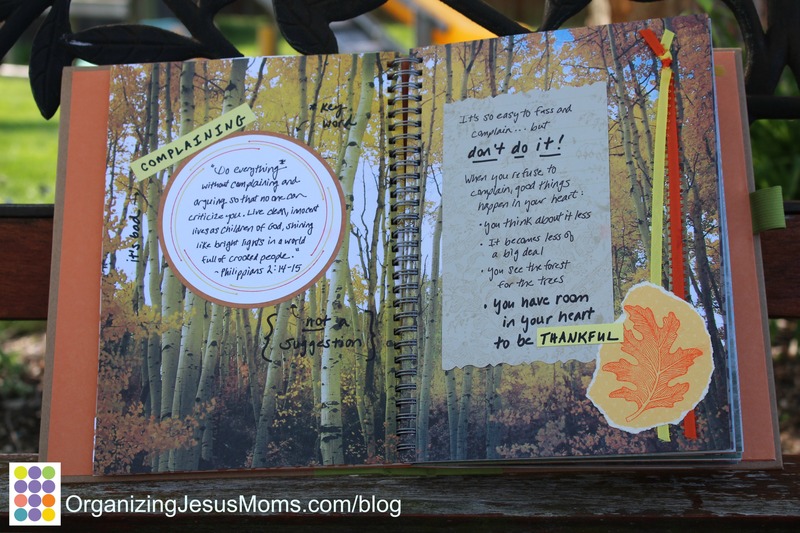 For Lent this year, my family decided to take a Philippians 2:14 No-Complaining Challenge (more about this is coming up on OrganizingJesusMoms.com soon!). This was way easier said than done—and I found that Travis and I complained way more than the kids did. Grown-ups have more expectations and plans to be thwarted! Today I’m giving you the Philippians 2:14 Challenge: will you keep track of your complaints for one week? Perhaps you could keep a simple tally to see how many complaints are blocking your shine for Jesus…and then pray about doing better! Lord, I’m so sorry for the times that I’ve complained or argued about the work You’ve given me or the circumstances in which You’ve placed me. May my heart, and my tongue, be clean and innocent so that my shine for You may be unsullied. Please bring friends into my life, not to hear my complaining, but instead to be inspired by Your work within me. I humbly thank You for everything you’ve given me to be thankful for. Amen. Do you tend to vent? How does it make you feel?